The table lamp Albero is a decorative light source. The design is not spared on detailed embellishments. Ornate leaves and a small bunch of grapes adorn the curved frame of the light. 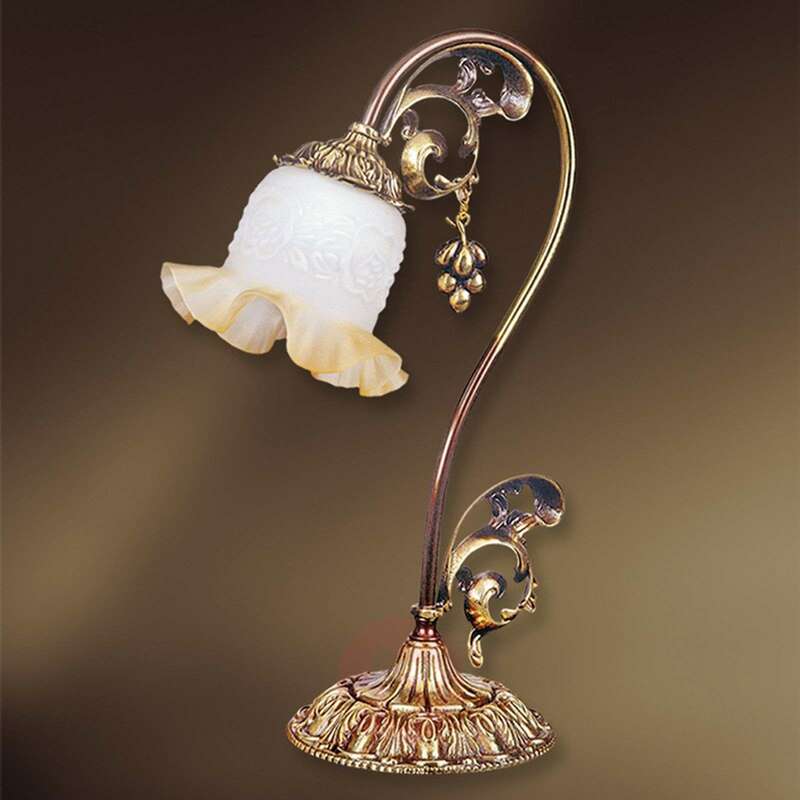 The white glass lampshades elegantly distinguish themselves from the antique gold finish of metal. 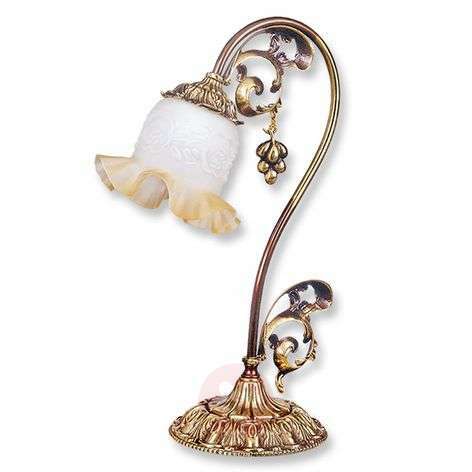 A floral embossing pattern decorates the outer surface of the lampshade, while the lower edge strikes waves like a calyx. Albero is the ideal addition to the ambience of any antique-style living space.